Joomla! 3.7 Stable Release - 700 Reasons the Best Got Better! You are here: HomeJoomla TemplatesNews & UpdatesJoomla! 3.7 Stable Release - 700 Reasons the Best Got Better! As planned, on 25th April, 2017, Joomla! 3.7 stable has been released. 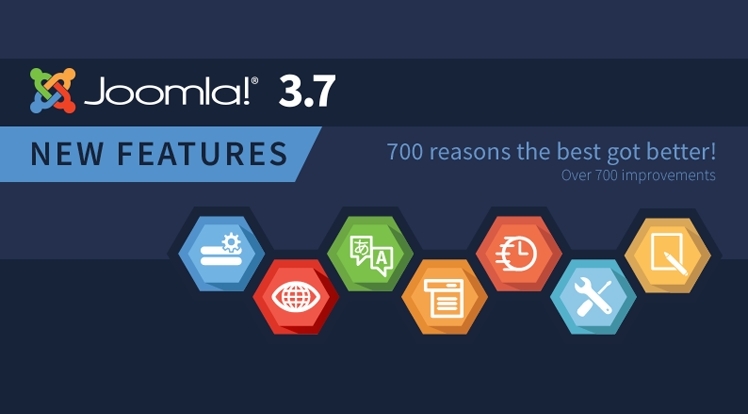 This release carries out over 700 improvements including many features which make administration of Joomla! Web sites easier and more feature-rich, as well as several security updates. Note: Joomla 3.7 is a one-click update. 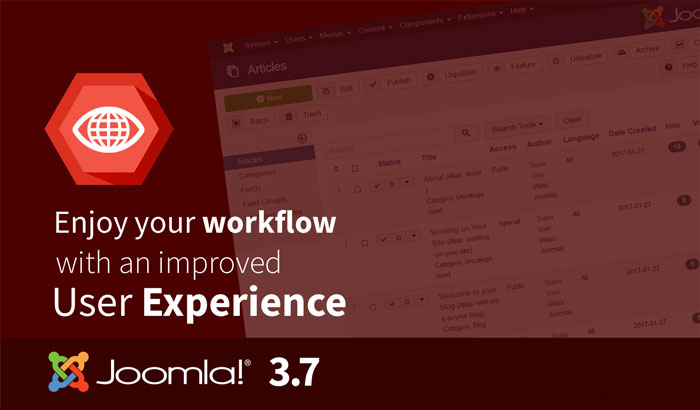 It is recommended to update from Joomla 3.6.5 to Joomla 3.7. For earlier version, please review the update category on the Joomla! Documentation. In Joomla 3.7, administrators have ability to add Custom Fields to the articles, users and contacts; extension developers can use this features within their own custom Joomla Extensions. With 15 different field types, it is easy to structures more complex content entry system that allows content managers simply enter their data in a standard manner and display it consistently to the visitors. This feature allows you to easily translate your content from one single, unified interface. You can now create a category, article, and menu item all in one step from within the menu manager. Your User Experience is improved thanks to the display of your global settings, a flatter backend template, the possibility to share your session between frontend and backend and a number of other minor UX improvements. Now you can create custom menus for the Backend just like you can for the Frontend - allowing you to control what users can see which admin menu options. Our Joomla team have been starting to update all our Free and Premium Joomla templates and Professional Joomla Extensions to Joomla 3.7. 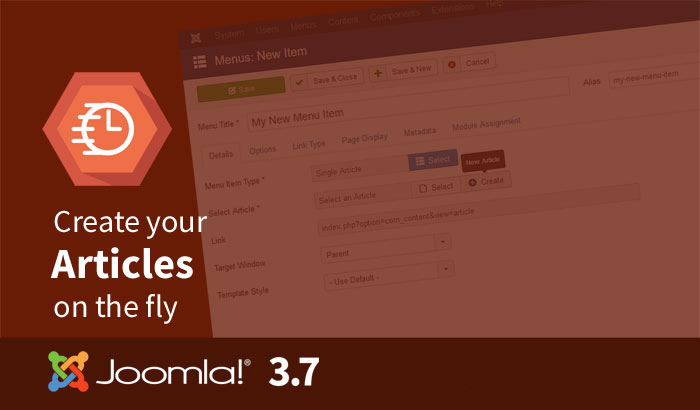 We will notice you whenever a product is completed in the Joomla 3.7 templates and Joomla 3.7 extensions list. So, keep in touch with us for the good news!